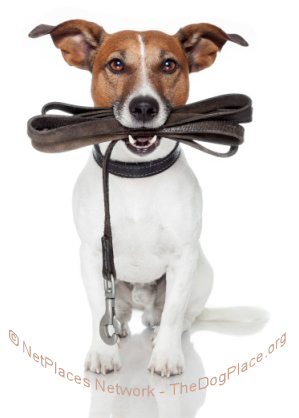 The ultimate companion dog is what this professional trainer calls a Personal Dog. Here's how to achieve that. The Personal Dog is the ultimate canine companion, more than Obedience training, this top dog trainer teaches YOU how to achieve the perfect companion dog! Before you begin formal training, read What Is A Personal Dog so you have a foundation as we discuss the making of a perfect personal canine companion. As this audience is primarily made up of dog people I'm sure many will say "I know how to train a companion dog (CD degree)". That may be true, BUT, training a dog to be a personal companion is different than training a show or obedience competition dog. Often the two overlap but here we are concentrating on the personal companion. Always remember the aim. This dog will be with us for life. In the car, at our desk, on the couch, and usually on our bed. It needs to be a help not a burden. The first item is housebreaking. This is done by keeping the dog on a leash, physically attached to your side. A belt around your waist with the leash looped thru works great. To be a little more high tech, the sled dog people have an adjustable belt with tie rings attached, wide nylon web in various colors. Once housebroken, developing your personal dog is easier and less labor intensive. The idea is the same as crate training, the dog doesn't want to soil his area. The mechanics are a little different as it is up to you to notice when Flopsie needs to go out, and it is always YOU who takes her out. It is YOU who stays out with her while she cleans out, it is YOU who praises her and then takes her back inside with YOU. Throughout this article you will notice that it is you who does everything for your dog. This applies whether you are single, married, or in a partner situation. While you are at your desk, have a cushy pad for Flopsie next to you and have her attached to your side with a leash. Have water where she can reach it, give her a bone or hoof, then go about your business. Flopsie must learn patience. The first day it may be a little trying, make sure she doesn't eat your desk or computer or phone cords, after that she gets the concept. Outside, breakfast, outside, boring time at the desk, outside, maybe a car ride, outside, lie by Mom's feet while she makes dinner, eat, outside, sit on Mom's lap and watch a picture box, outside, go snuggle next to Mom in bed all night. Easier said than done you say, not so. Set your mind that Flopsie is firmly attached to your side everywhere it is safe for her to go. As soon as you decide a puppy is going to be your personal dog, begin the process. If it is one of the pups you bred, separate it from the other dogs at 7-8 weeks and treat it as your dog. Don't take the easy road and put it with the others only while you finish this project, or when you have company, or when it is raining.......this is your personal companion - treat it this way. Leash training is easy, Flopsie knows no other way. There is no jerking, no commands, she is tied to your belt and if you walk so does she. If you sit so does she, etc. Puppies are very smart, if it is unproductive to be a jerk they will abandon the behavior. Now Flopsie is about 10 weeks old, leash trained, housebroken, and sleeps all night. It is time for the outside world. Just a brief note about sleeps all night. My bed dogs, 3 right now, are taught they are not allowed to jump off the bed unless I lift them down. In the morning I can get dressed and put on my shoes without wondering what the pup is doing, or where. Of course immediately we all go outside. The car is easier if your dog is small. Just tuck them under your arm and out to the car. Plop Flopsie down next to you and off you go. Your attitude of business as usual makes this a no-sickness episode in most situations. Flopsie must not jump around and be a distraction, lie down next to you is the order of the day. Make sure you have water in the car, and a leash. When you leave her for a short while, park in the shade, leave ventilation, and stay gone only a short while. When you return, attach leash, which you have removed while away from the dog, and take Flopsie out for a bathroom break. Always teach your personal dog to relieve herself away from home, this dog will be out a lot and will be most uncomfortable if she can't wet unless at home. Visiting. Some people won't mind if you bring your dog when you visit. If this is the case always keep Flopsie on leash and respect your host's home. No running around and jumping. Flopsie can demonstrate her lie down skills. Some of us carry a target towel, to give Flopsie a home base. Some people do mind. If your host has dogs of their own it is better dog manners to let Flopsie rest quietly in the car unless invited in. Flopsie can be a show dog too, as well as a personal companion. Flopsie won't freak out about slick floors, just like home after cleaning day. Loud speakers won't bother her, sometimes the TV gets real loud. Strangers, animals, vehicles, are all familiar to her. She is a calm and confident show dog. She is used to responding to your voice, used to keeping the leash slack, used to being with you. The key to a personal dog is a leash. Mold Flopsie to the model of a personal dog, don't let her run wild then try to cram her into the mold. Show her by word, deed, and attitude what you expect her to be. Use the leash, converting to a long line, for months. It will be worth the effort. A few months and you will have a dog you can confidently take into any situation and know you will always have a friend and companion for the next 10 or more years. I can't end this without a short story about Scruffy, my personal dog for 13 years. After she finished her CD degree, I bred her and awaited her pups with great anticipation. Had a raised whelping box next to my bed. She whelped 5 lovely babies, and within two days would lovingly pile them all up, cover them with the bedding, and climb into bed with me. One little female, Cricket, was a persistent squeaker when she woke up and Mom was gone. Scruf would go, ever so carefully, back to the box, pluck Cricket out and bring her into bed with us, carefully stuffing her close to me for care, then back to sleep. When it was time to go back to the others she would pick up Cricket and take her back with the others to be fed. Cricket also lived for 16 years, 13 of those good years with a good owner, and never would stay in a pen or box. For 16 years she slept tucked under the chin of her person. Her Mama had really taught her how to be a personal dog and Cricket could be no less. Until you know the joy of having a great dog never farther than a glance away, your life will always have something lacking. 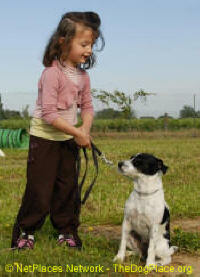 The training of a personal dog is time consuming but is the most rewarding task you will ever complete. Training The Older Personal Dog Part 3, Convert an older dog into a special Personal Dog.